“Busy season” is in full swing this weekend as Wright Motorsports hits upstate New York with the No. 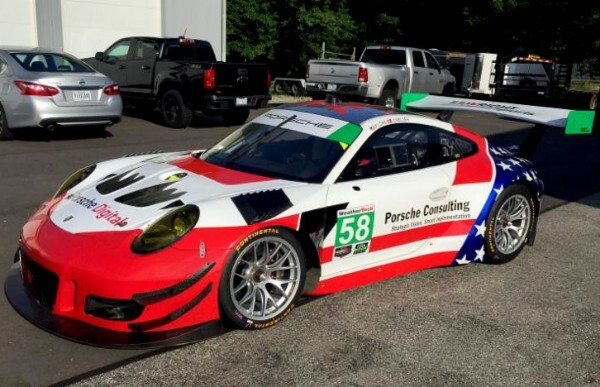 58 Porsche Consulting/Porsche Digital Porsche 911 GT3 R for Round 5 of the IMSA WeatherTech SportsCar Championship at the Sahlen’s Six Hours of the Glen. Full-season drivers, Patrick Long and Christina Nielsen will once again be joined by Robert Renauer as the trio look to kick off the second half of the season with a big result. With the event taking place just ahead of Fourth of July celebrations, the Porsche will carry a custom patriotic livery, not straying too far from the design accents of the full-season livery. Sunday’s six-hour endurance contest on the fast and flowing circuit marks the IMSA WeatherTech SportsCar Championship’s return to a traditional road course, after running through the tight walls of the Belle Isle Park. The event will serve as Round 3 of the four-stop Tequila North American Endurance Championship (TPNAEC). Fresh off of a strong fourth place run at the 24 Hours of Le Mans, Long returns to the renowned New York road course for the first time since 2014. While the American Porsche works driver has yet to see the top step at Watkins Glen, he’s very familiar with the podium and hopes to climb another step at the end of the six-hour classic. Watkins Glen is a track that provokes a lot of momentum for Nielsen, as she has already seen a victory at the six-hour event in 2016. The Dane looks to repeat that success in her first time driving a Porsche 911 GT3 R at the road course. With her increased understanding and skillset driving with the German marque, Nielsen feels confident heading into the TPNAEC event. Since his last appearance with the team in Sebring, it’s been a fast-paced summer for Renauer. The German has been busy driving a Porsche 911 GT3 R with his family-operated team, Herbeth Motorsport. Renauer most recently earned a victory at the 12 Hours of Imola, along with several podiums in the ADAC GT Masters. While this will be his first time competing at Watkins Glen, the Porsche ace feels confident following a successful test with the team. The Sahlen’s Six Hours of the Glen will air live on Sunday, July 1 on FS1 from 9:30AM to 4:00PM EDT, and international viewers can tune into imsa.tv to watch the live stream. 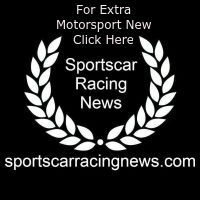 IMSA Radio will additionally offer live coverage of every session.